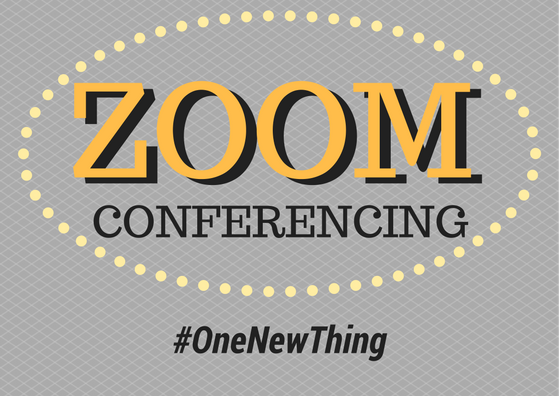 Zoom is an online conferencing tool, similar to WebEx or Go To Meeting, and allows you to host online, collaborative sessions. The free version is full featured for up to 45 minutes of conferencing. There are many uses for such a tool in education, both online and face-to-face. Hold online office hours: can use the screen sharing or the collaborative whiteboard to work together during the meeting. Conduct interviews: instead of Skype consider using Zoom. This eliminates the sharing of Skype usernames and allows for screen sharing for easier discussion of materials. Online paper or project review sessions: using the collaborative tools and screensharing you can work with students to review papers or projects together. Online training and tutorials: use the screenshare to teach your students synchronously. Study groups: students can use Zoom to conduct online study sessions when they can’t get together to study. Group work: students can use Zoom to collaborate on group work. They can bring up their Google doc or presentation and use the video chat to discuss the project while collaborating on the documents.